Chelsea Cain and Johnny Shaw have been chosen as recipients of the twentieth annual Friends of Mystery Spotted Award. 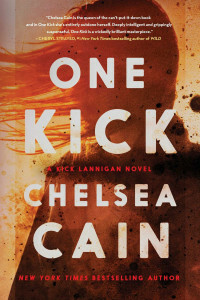 Cain is receiving her award for her book, One Kick, published in August 2014 by Simon & Schuster. 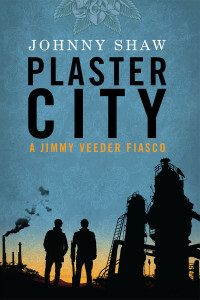 Johnny Shaw is receiving his award for his book, Plaster City, published by Thomas & Mercer in April 2014. The Spotted Owl award was established in 1995 and is given to the best mystery novel of the year by an author who lives in the Pacific Northwest (Alaska, British Columbia, Canada, Idaho, Oregon or Washington. Previous winners include Bill Cameron, Earl Emerson, G.M. Ford, Dana Haynes, Mike Lawson, Phil Margolin and Kris Nelscott. The Friends of Mystery is a non-profit literary/educational organization headquartered in Portland, Oregon. For the past 34 years we have presented lectures, organized conferences, and sponsored reading groups. We also publish a regular newsletter. Our purpose is to promote the study, understanding and reading enjoyment of mystery literature.